Subtle and last minute am I for this Month’s celebration of blooms in the garden (it’s almost midnight on the 15th). Our snow only lasted a day (Phew!) but since then we’’ve had a mixed bag of cooler, wet weather with bursts of sunshine. The bees have returned to my garden and the blossom on my Pieris (largest image in montage below) have been a favourite spot as have the opening blooms of my weeping Pear tree and daffodils Iced Follies. 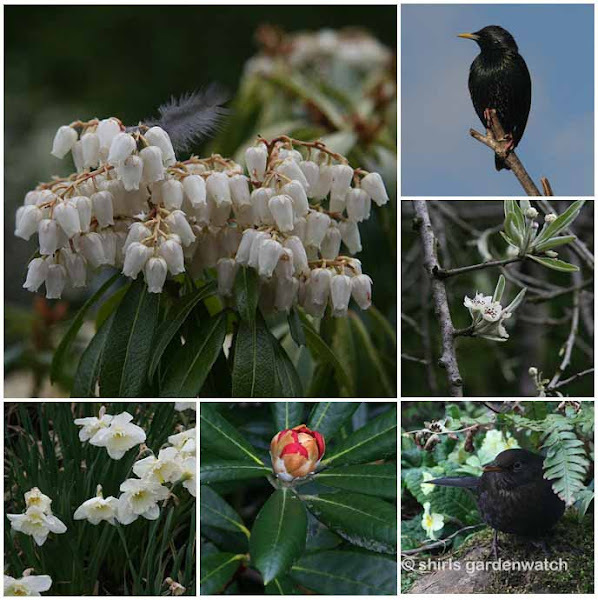 The first colour is showing in buds of my yak hybrid Rhodendendrons and (home sown) pale yellow primroses are creeping into corners (also popular with foraging bees). Blooming the brightest in the bird population have to be the finches (Chaffinches, Siskins, Greenfinches & Goldfinches) who are making good use of a new feeder set up (more on that soon). Considering photographs as well as practicality for visiting birds a passing Starling today shows how successful (popular) this perching hotspot is going to be when the first juvenile birds arrive in the garden. Usually it’s the Dunnock that is spotted first in my garden with young followed by Blackbirds. 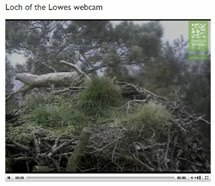 By the increased activity on the ground with many male and female Blackbirds I’d say they are already in nesting mode. The Dunnocks are running around the ground purposefully too. 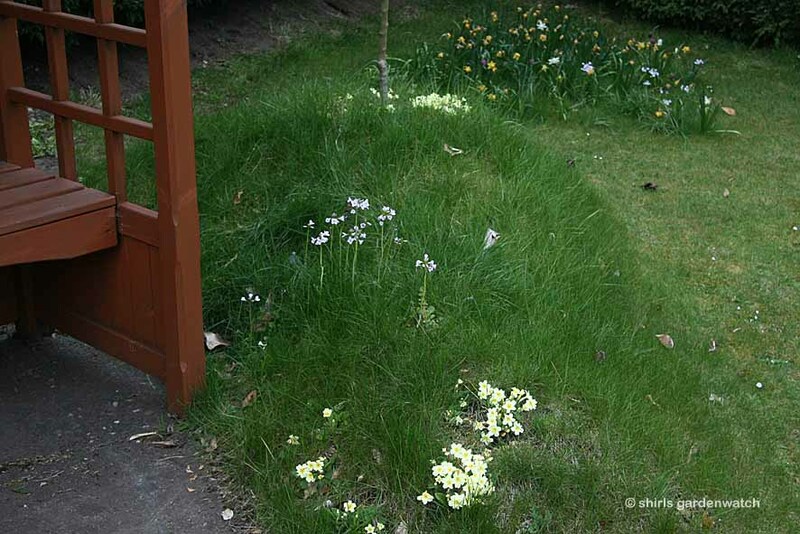 The photo above shows last year’s revamp to a small (basket based) border where a few Crocus and drumstick Primulas are still hanging on. I have been very pleased with the way this border has taken shape. The border in the background is host to my new bird feeder set-up and home to some (fav wildflowers) Wood Anemones that are settled in around the base of my bamboo and contrasting well against the rich dark heuchera leaves. Note the hint of red water in my bird bath. Last May I had this problem (see here) and I moved my birdbath into a more shaded spot. I’ll give it a good clean tomorrow and keep an eye on it. 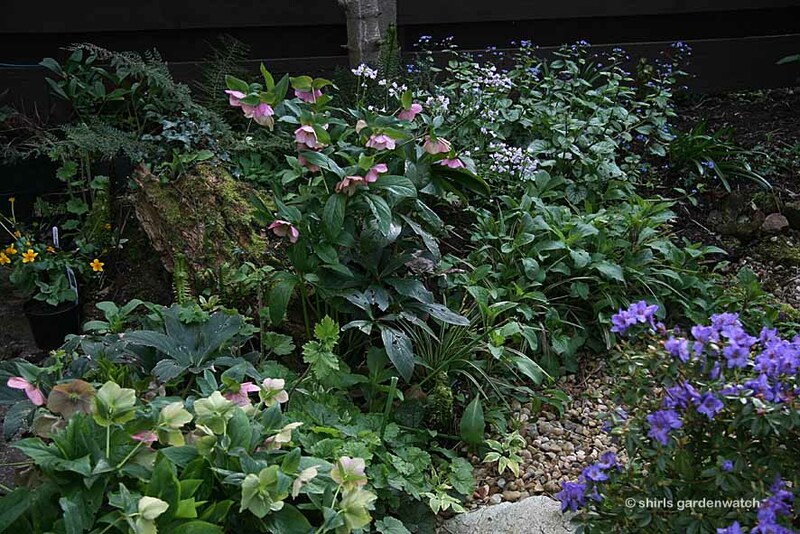 In the shady area behind my garden gate, the oriental Hellebores are still looking well as are the (previously flattened by snow) Cuckoo flowers which I adore. I also love the tiny clusters of blue flowers from Brunnera Jack Frost which I added for its wonderful leaves. Also of note above are the purple flowers of a dwarf Rhododendron I took as a cutting from a plant in my previous garden. That plant always makes me smile when it’s in flower. Finally, I’m not sure that my last photo above does the shape and slopes of my grass mound justice. 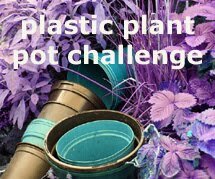 It was interesting to see this idea featured by Monty Don on Gardener’s World on Friday’s programme. You can see my Primroses near the bottom and Cuckoo flower on the side. My hope is that both will spread themselves around here. Note I deliberately cut around this grass mound to give it contrast and interest to the main lawn. I also cut around the narcissi, crocus and Fritillaries in the background too where I had a few planted a few cuckoo flowers too :-) I have a Hawthorn tree in my mound. To the left of my Arbour I have another mound in process of being built which may lead to the edge of my new pond. I picked up grass seed at the weekend and once I’ve established the shape of mound No.2 too it will be seeded. Then the arbour will have a sense of place. Wildflowers and bulbs will also feature here. I love the creative side to gardening. Playing with colour in the garden I do enjoy but I am still a tad careful and not as daring as I might be. That being said, my main back garden is really in partial shade so bright colours are more of a challenge. So, that’s it for another Garden Bloggers’ Bloom day. 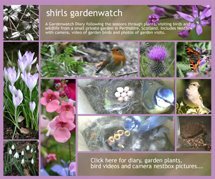 If you’d like to see what’s been blooming around the world in the middle of April head over to Carol at May Dreams Gardens and go garden visiting through links there . Hope everyone has had a great GBBD! It’s a tad late now, but before I go I’d like to mention something on behalf of the RHS. See link below for more info. 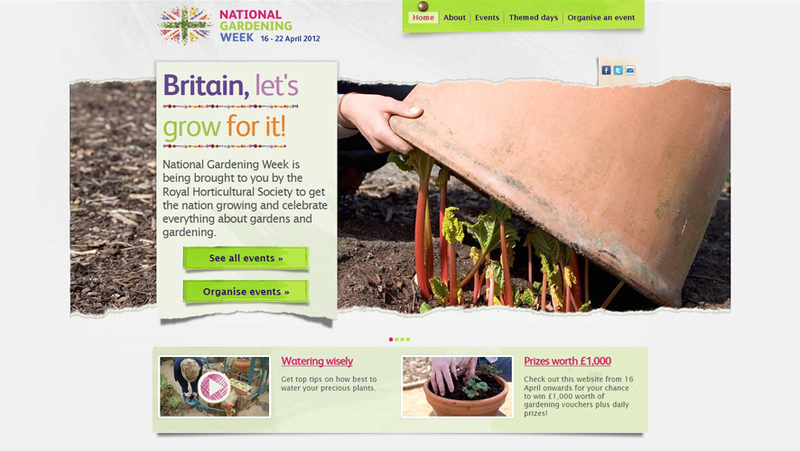 “National Gardening Week has been launched by the RHS to get the nation growing. Thousands of people across the country are coming together and getting involved to enjoy, share and celebrate everything about gardens and gardening. Communities and organisations are pulling out all the stops to host garden open days, garden parties, quizzes, plant swaps and a wealth of other activities to share advice or lend helping hands to friends, neighbours and the local community. We seem to be growing the same lowering plants and you have even got the same bird bath as one of mine! Shirl, your early blooms are beautiful. I love the mounds. 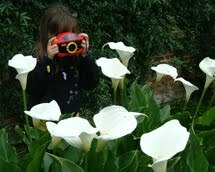 They give the garden an interesting spot for the eye to wander. 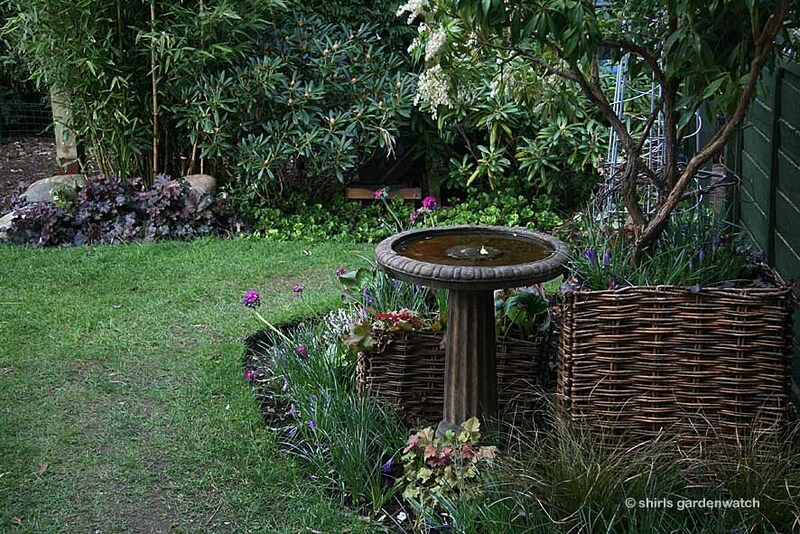 I love that fencing that looks like a basket or wattle around the bird bath. Wonderful texture for the garden. 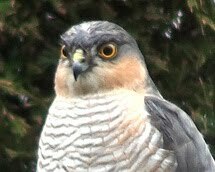 In answer to your question about the Wrens in our garden... The Carolina Wrens have been nesting in the area for some time. They got a head start what with the warmer than usual weather around here. 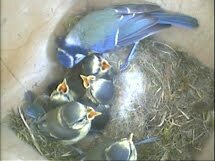 The House wrens are now house hunting. They are working on the wren house hanging in the apple tree. I can't wait until they set up house keeping in the house just outside my office window. They Mr is serenading his lady as I type. 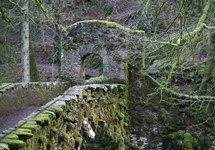 Lovely photos; it's been a strange old few weeks after all that warm weather we had! In the sun it's often been pleasantly warm but as soon as a cloud comes along - which has been often - it quickly becomes very chilly. Hopefully it'll perk up a little bit more again and we can get back to the mild temps we had before. Your basket based bed is beautiful Shirl. Did you blog about building it? Is the basket filled with soil and are there two baskets? How great to see all your flowers coming back and to see the progress of the grassy mound. I have to clean my birdbaths periodically throughout the season as well. Wonderful display! What a beautiful yard! I love your basket-weave border-did you make it yourself or were you able to buy it pre-woven? Thanks for sharing your GBBD post! Looks lovely, especially for the time of year. I do like the grassy mounds by the bench. Liz, I agree very strange weather – we had heavy rain and hailstone showers practically all day. Yes, roll on ‘normal’ temps for garden – got lots I want to do (you too I bet). Dreamybee, thank-you! My garden is small so I try to make every small corner have some interest. I bought the baskets. The idea (selling use) of these baskets is for growing veggies. There is a fabric bag that goes inside that you fill with compost (in my case earth). The basket come in four panels and you connect them together and put them round the fabric bags. They should be on a patio but I have chosen to use them this way. Your garden is so full of interest Shirl and the wildlife obviously love it.The gold finches and green finches have been abundant this year in our garden too. Pleased to see that you have Brunnera "Jack Frost" in your garden. I like it for the leaves as much as the flowers.